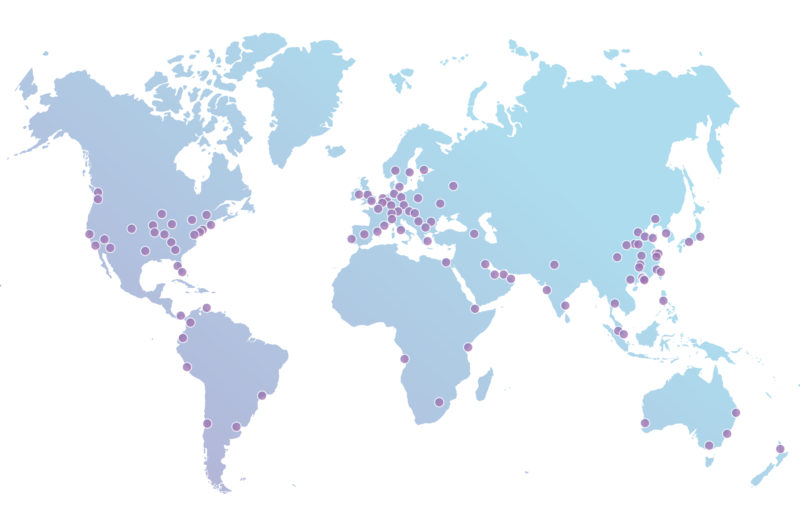 The Cloudflare network includes 111 data centers and 10Tbps capacity. Network operator Cloudflare came under fire last week from ProPublica, which wrote a lengthy article arguing that the Internet company “helps serve up hate on the Web.” According to ProPublica, Cloudflare does this by providing service to any website operator and failing to provide anonymity to people who complain about racist or otherwise abusive online content. In response, Cloudflare has changed its abuse-reporting system to allow for anonymous complaints. But the company says it still has no intention of taking steps that it says would effectively censor the Internet. Cloudflare co-founder and CEO Matthew Prince discussed the controversy and the company’s response in a blog post yesterday. Cloudflare’s abuse reporting system tells people using it that “Cloudflare will forward all abuse reports that appear to be legitimate to the responsible hosting provider and to the website owner.” By submitting a report, the submitter is consenting to have their information released to the website owner or hosting provider, the disclaimers say. Cloudflare assumed that people who submit abuse reports would read and understand these disclaimers, but it turns out that people “were surprised that we forwarded their full abuse report to the host who then, in some cases, could forward it to the site owner,” Prince wrote. Cloudflare also has an added appeal to sites such as The Daily Stormer [a neo-Nazi site]. It turns over to the hate sites the personal information of people who criticize their content. For instance, when a reader figures out that Cloudflare is the Internet company serving sites like The Daily Stormer, they sometimes write to the company to protest. Cloudflare, per its policy, then relays the name and e-mail address of the person complaining to the hate site, often to the surprise and regret of those complaining. Starting later this week, Prince wrote, people who submit abuse reports to Cloudflare “will have the choice of whether to do so anonymously.” The abuse reporting system allows people to report threats and child sexual-abuse material. Prince said he is concerned that the new anonymous reports might create other problems. Prince also gave what he called his “final thoughts on censoring the Internet.” ProPublica’s article compared the policies of Cloudflare to the policies of hosting providers such as Rackspace and GoDaddy, which have refused to host certain content. But Cloudflare is not a hosting provider, Prince pointed out. Specifically, Cloudflare operates a global network that improves performance of websites and protects them from DDoS attacks and other security threats. The company offers a free tier and several paid plans. Cloudflare does not “store the definitive copy” of websites, so websites wouldn’t necessarily go offline even if Cloudflare decided not to serve a specific customer, Prince wrote. But Cloudflare terminating customers could make it harder for websites to withstand attacks designed to take them offline. The Cloudflare service hides the location of a website’s hosting provider so that attackers cannot target the host directly. That’s a policy I can get behind.